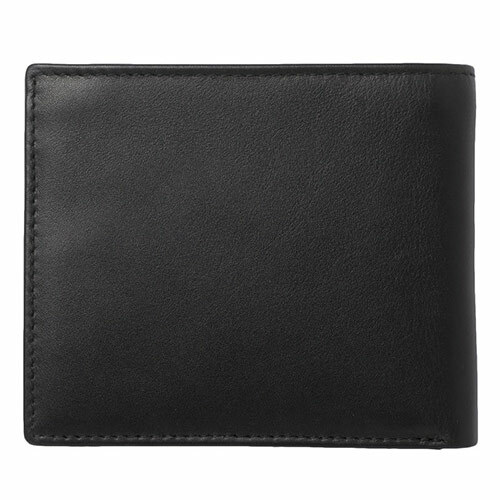 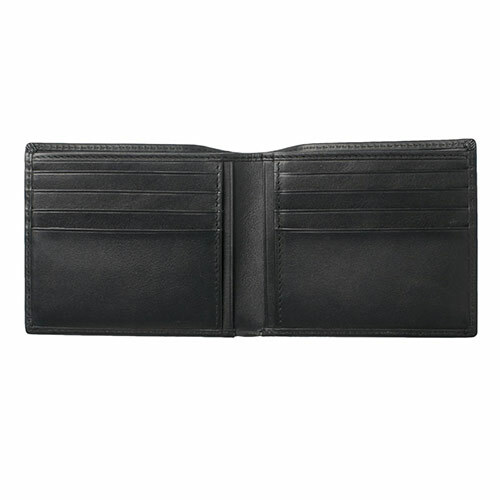 Stylish black folding wallet in durable, soft-touch real leather. 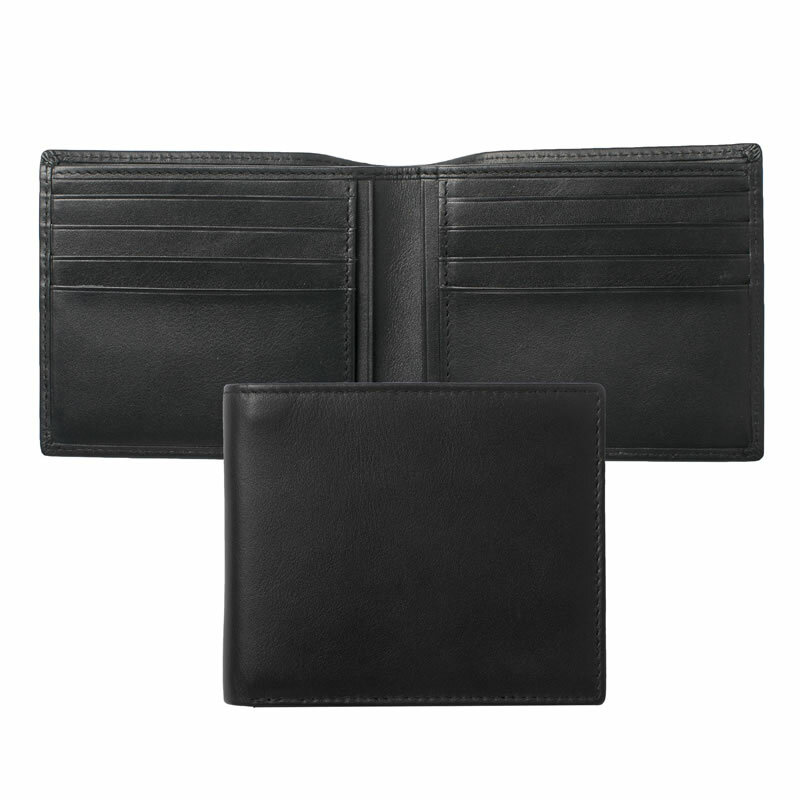 Opens to reveal eight standard-size card slots plus full width pocket for notes. 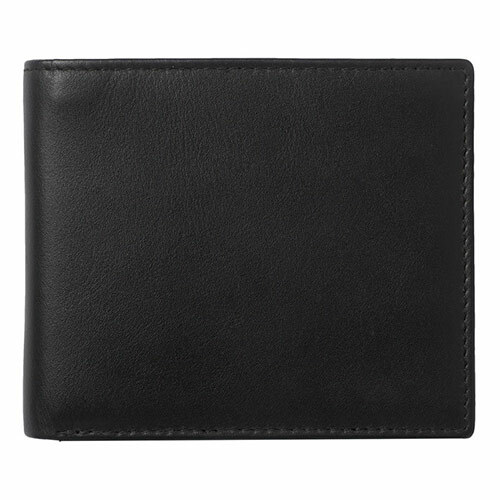 Can be personalised or branded via laser engraving onto the front cover.